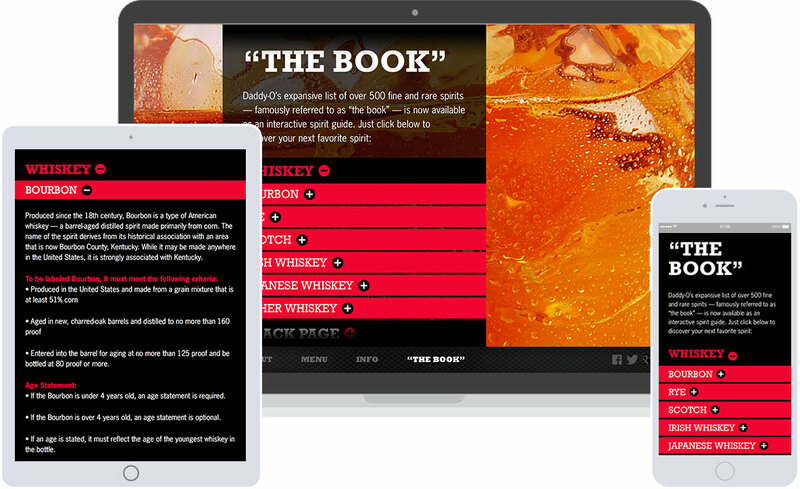 Daddy-O hired Carnsmedia to design an interactive website highlighting their expansive 500-bottle spirit collection and to drive brand awareness for Daddy-O’s serious whiskey collection through social media, photography, digital advertising, and press coverage. 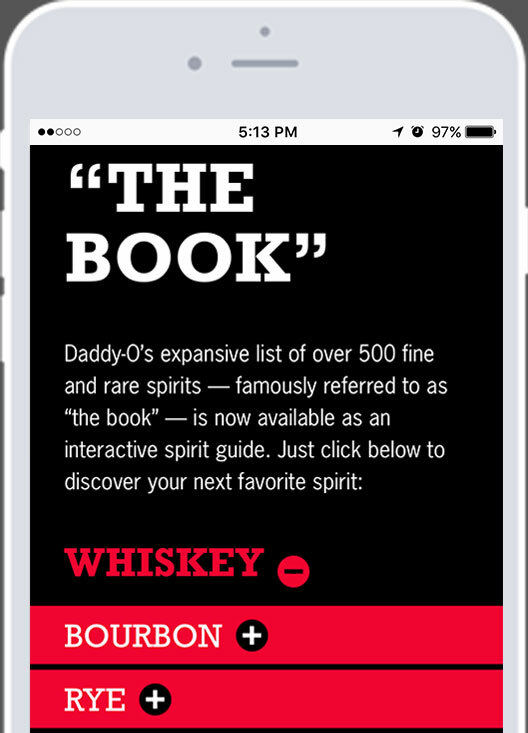 Carnsmedia designed Daddy-O’s expansive list of over 500 fine and rare spirits, famously referred to as “The Book,” into an interactive spirit guide complete with whiskey tutorial. Ever wonder what makes a Bourbon a Bourbon? Average visitor stayed on daddyonyc.com for 23 minutes the first weekend of launch. It’s easy to become cynical about bars in a city where every neighborhood has its own expertly branded nouveau speakeasy. It is impossible to be cynical at Daddy-O. There is no branding to speak of here. The glassware is not special. There is a television. The television plays hockey games. 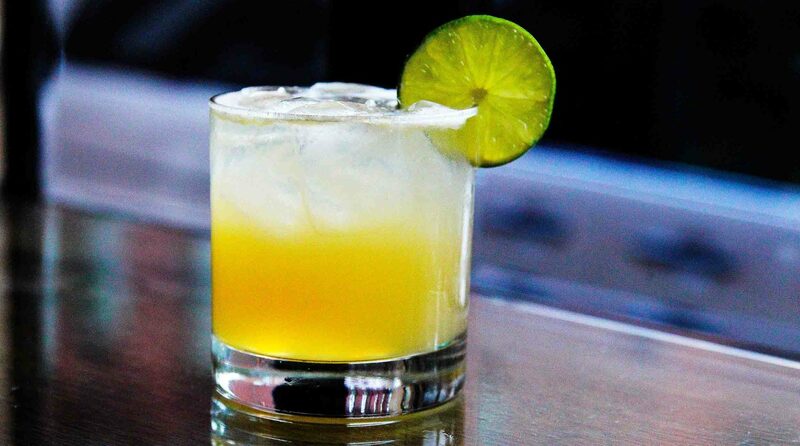 And yet, Daddy-O’s enthusiasm for spirits — especially whisky — rivals, and bests, far more obnoxious establishments. 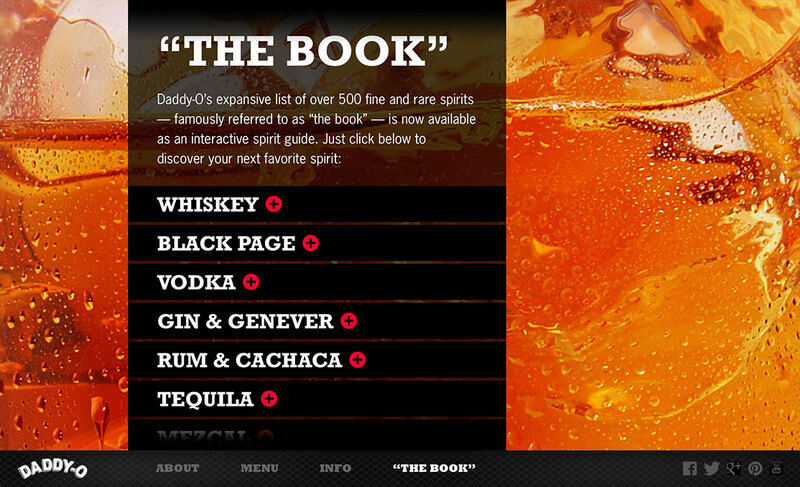 The written tome spans 500 hand-picked bottles, with not even a hint of pretension. Daddy-O owner Philip Casaceli reportedly drove Pat LaFrieda crazy perfecting the custom dry aged blend for his burger. You will be glad he did. Served on a classic sesame seed bun with lettuce, tomato and red onion and tater tots. $15. When Daddy-O switched from handling social media internally to giving the controls to Carnsmedia the annual organic reach grew from 87k to 1.7 million. 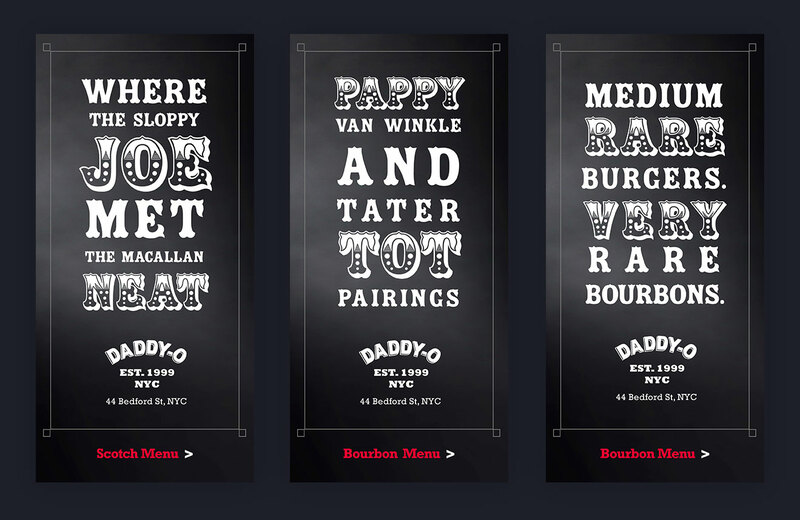 “Daddy-O Fashion Week Runway Bourbons,” “Leave Daddy-O Sober-ish,” & “Medium Rare Burgers, Very Rare Bourbons.” were just a few successful campaigns. Daddy-O’s owner eventually opened up a new bar with celebrity chef and friend Anne Burrell called Phil & Anne’s Good Time Lounge.